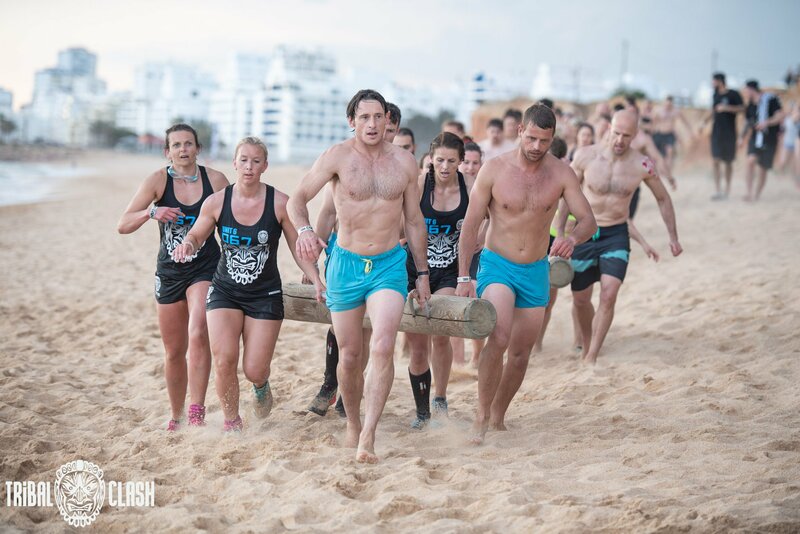 A Tribal Clash athlete isn’t just your average CrossFit competitor… while most functional fitness competitions take place in a sports hall, Tribal Clash takes place on a beach and is open to all the elements. Equipment is rustic and sand-covered; runs are along sand and muddy tracks; swims are in open water with waves just adding to the challenge. Tribal Clash athletes embrace this; they are adventurous, undaunted by the unknown, value teamwork above everything else and enjoy using their fitness in a practical way. 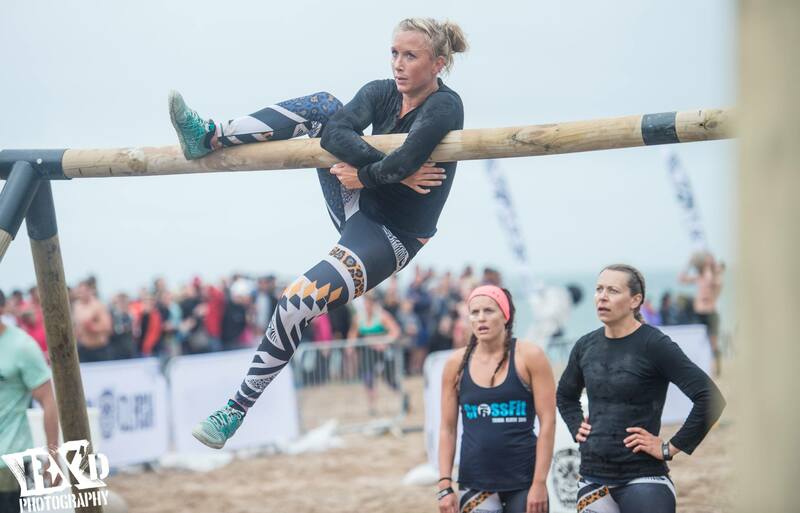 An athlete that embodies this spirit is Chloe Harvey, a veteran Tribal Clasher who has competed five times as part of the Unit 6 team, going into the semi-final in first place three times and reaching the podium in 2016. 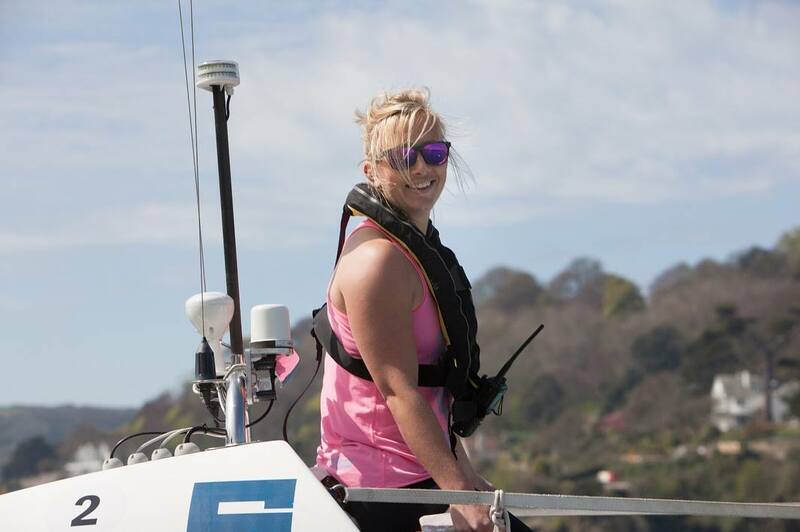 Having dedicated a lot of time and energy to training for Tribal Clash in recent years, Chloe is now gearing up to take on a new challenge – to row across the Atlantic as part of a team of four women. She will be setting off from La Gomera on 12 December 2018 to row 3000 miles to Antigua with her team Astro to Atlantic, four hockey players from rural South Devon who were all born and bred just a few miles from the home of Tribal Clash UK, Bantham Beach. What exactly is the challenge you’re undertaking? The Talisker Whisky Atlantic Challenge is known as the world’s toughest row, covering 3000 miles from La Gomera in the Canary Islands to Antigua in the Caribbean. To put it into perspective, more people have been into outer space than have rowed across the Atlantic Ocean! We will row unaided and unsupported through rough seas and storms onboard our 28ft rowing boat for up to 60 days, enduring sleep deprivation, blisters, huge calorie deficits, hallucinations, salt sores, 40ft waves and physical and mental exhaustion. This challenge will not only be a massive test for us individually, but will also test our ability to work as a team in the toughest conditions! We will be rowing in aid of Devon Air Ambulance, a charity which is very important to each of us as they provide vital assistance in our rural community. What made you decide to row across the Atlantic? The idea actually came about when two of my teammates, Lou Read and Helen Symons, were cycling from John O’Groats to Land’s End in 2015 – as they cycled up numerous hills day after day, they decided that if they could cycle the length of the country then why not row the Atlantic Ocean! They then asked myself and Lou’s daughter Emily to join them and of course we said yes – we have all played hockey together for many years so we are already very close and have great confidence in each other. This is proving to be a huge advantage as we know each other’s strengths and weaknesses and can see when someone needs a boost. What do you personally consider to be your greatest strengths that you will bring to the team? I think my teammates would probably say my biggest attribute to the team is my strength on the oars! I will always row hard during my shift. This has inevitably come from my CrossFit background and it is encouraging to know it can be transferred to rowing an ocean! I would also say I am quite mentally tough, I am used to being in the ‘pain cave’ and enjoy the buzz of a long team workout. Many experiences on the Tribal Clash battleground have taught me a lot about how much you can push your body and your limit is far greater than you think. I am very determined with a resilient attitude and an advocate for positivity in tense situations which I hope will serve us well during our crossing. I think I also bring some fun and humour to the team, I am often unconsciously singing loudly so am known as the team juke box! How have you prepared for this challenge? The training regime has been pretty intense, with many hours spent on rowing machines or at squat racks to prepare our bodies for the crossing – Unit6 very kindly became a gym sponsor so we have done a lot of our training there which has been great. We spent a lot of time out on the water on our ocean rowing boat, getting out to sea at every available opportunity before she was shipped to the start line at the end of October. We have also been on lots of courses to learn how to navigate and survive at sea, and undertaken psychological profiling to prepare us mentally – there is far more to the challenge than just rowing! What has been the toughest part so far? How have you managed to raise the funds required? We have been completely overwhelmed by the support from our community, both by businesses who have kindly sponsored equipment and by local people who have attended fundraising events. These have included balls, dining events and quiz nights, plus my teammates and I have attended lots of local shows which have given us the chance to speak to the public about the challenge. We have also been running a rowing sprint challenge where members of the public have a go at rowing 200m as quickly as they can – the times to beat so far are 30 seconds for men and 35.8 seconds for women. If any Tribal Clash fans fancy a challenge, feel free to have a go and tag @astrotoatlantic in your Instagram videos! What are you looking forward to most about the challenge? We are all excited to set off on an adventure which will really take us out of our comfort zones and push us to the limit, both physically and mentally. I also love the idea of completing such an amazing feat as part of a team and really applying the fitness that I have gained through CrossFit. We’re hoping to see amazing wildlife as we row – whales, dolphins, turtles and more – and to witness beautiful sunsets and sunrises out on the ocean. 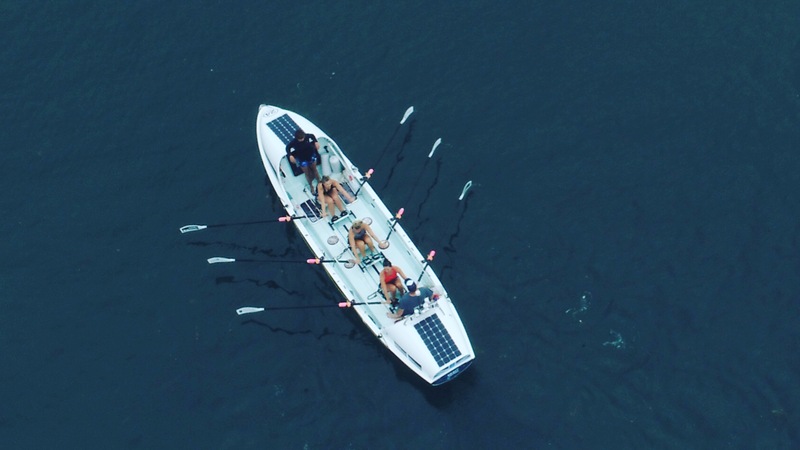 And finally there’s the prospect of reaching Antigua, seeing our friends and family after weeks at sea and experiencing a huge sense of achievement – not many people can say that they’ve rowed across the Atlantic Ocean, especially a quartet of women! What do you think the toughest part will be? One of hardest parts will be the sleep deprivation until our bodies clocks get used to the 2 hour on, 2 hour off shift pattern. Then having to deal with prolonged periods of seasickness, being cold and wet constantly, and missing our families and friends back at home. But inevitably the biggest challenge will be the mental one, the monotony of being on what seems like an endless ocean with no company or entertainment other than ourselves. To also note, on average rowers lose up to 2 stone during the crossing as they are always in a calorie deficit, burning up to 10,000 calories a day. We have to compensate for this by bulking up in the months leading up to the row, eating 4,000 calories a day which is harder than it might sound! The weight loss obviously includes muscle mass, and our bodies will change hugely having only used certain muscle groups for 6 weeks or more. I will definitely look forward to getting back to CrossFit training and building back the muscle again! Do you have have a target in mind for your crossing? We’d love to set a new World or British record – the British record for a female 4 is currently 40 days and the World record is at 34 days. However with all world record attempts there has to come a hint of good fortune, and our safety at sea is also paramount. We are fully aware that the weather plays a huge part on the speed of the crossing – if we have strong trade winds in our favour we believe we are totally capable of breaking records as we have the strength and determination to do so. We really would love to break the British record so we would be very proud if we could finish the race in anything under 40 days! And finally, will we see you back at Tribal Clash? Yes absolutely! Tribal Clash is in my blood, I have always loved training for it and it becomes the date you look forward to the most on the calendar. I love the team aspect and the adrenaline rush you get after each workout; I think my thirst for adventure has grown from being part of Tribal Clash! 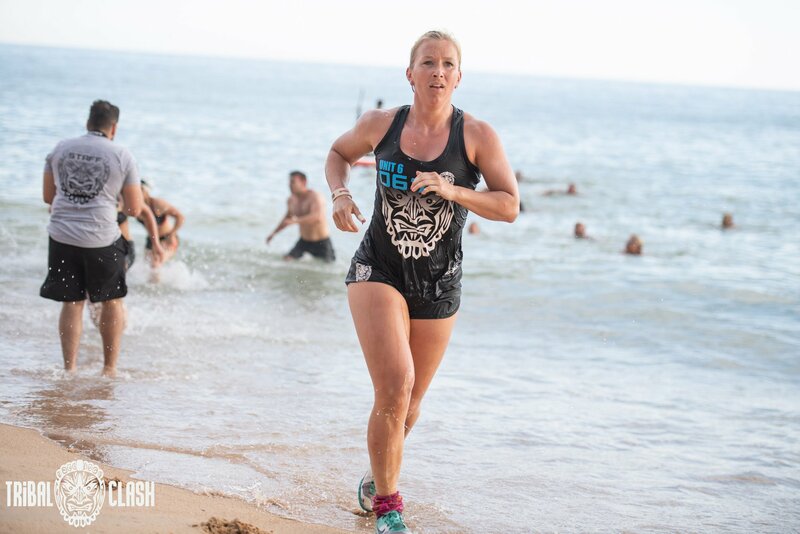 I’ve competed at each of the UK events since 2014 so I was gutted to not be able to compete at Tribal Clash UK this year as I was busy training with my team – we did row past the beach though so at least I could see what was going on in the distance! Thanks Chloe, everyone at Tribal Clash wishes you the very best of luck and will be following your progress closely throughout the race! Follow Chloe and the rest of team Astro to Atlantic on their website (www.astro-to-atlantic.co.uk/), Facebook page (/AstrotoAtlantic)and Instagram (@astrotoatlantic).